This is the official photo gallery of The Observer and the REVIEW&EXPRESS newspapers. 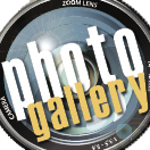 Select photos from news events as well as sports photos from: Dundee, Penn Yan, Watkins Glen, Odessa-Montour and Hammondsport can be found on this site. Sports that we cover include New York's Section IV and V: Baseball, Basketball, Bowling, Cheerleading, Cross Country, Football, Golf, Soccer, Softball, Swimming, Tennis, Track and Field, Volleyball and Wrestling.